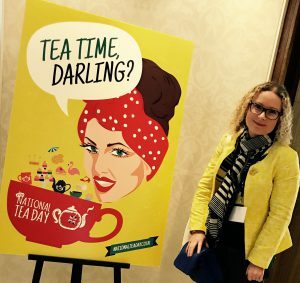 After a few days of being quite poorly after the excitement of National Tea Day, I’ve had to have a bit of time away from the computer screen, so still have many tea adventures to share! One future tea adventure I would like to share with you, which I am very excited about, is that I am planning a Blooming Great Tea Party for Marie Curie in June. What better reason to invite people round for good tea, good food, fun and frolics? (And to get the good china out!) 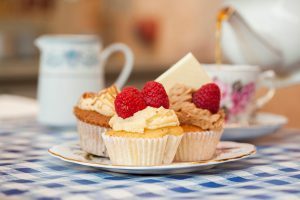 This year, Marie Curie have provided a wealth of inspiration for baking, food and tea pairings, as well as ideas for fun activities on the day and how to set up the tea party. I particularly love the celebrity recipes that have been shared, including the wonderful banana bread recipe from Stanley Tucci’s late wife – such a moving tribute! I am planning a vintage style party – naturally – following a yellow theme to reflect the colour of the iconic Marie Curie daffodil. There will be a big, bonny bunch of yellow daffodils in the centre of the table, and I think my vintage blue and white china jug will contrast beautifully with the yellow tea set. 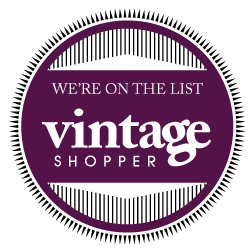 I’m planning to serve a variety of different teas, some traditional, some very new, and some old favourites with an interesting new spin. Some of my lovely tea friends have offered to help, so I should have plenty of good quality teas to go round! So, what food to serve? This will be afternoon tea with a twist and with a number of very specific requirements. I am gluten and dairy free, with allergies to a number of different foods. A number of my guests will have special dietary requirements – so this means adapting recipes for no gluten, no dairy, no fish, etc. I plan to enlist the help of two of my best friends: one of them a very accomplished baker, who has created some fabulous gluten and dairy free cakes for me before; and one who is a talented chef and also now also gluten free. 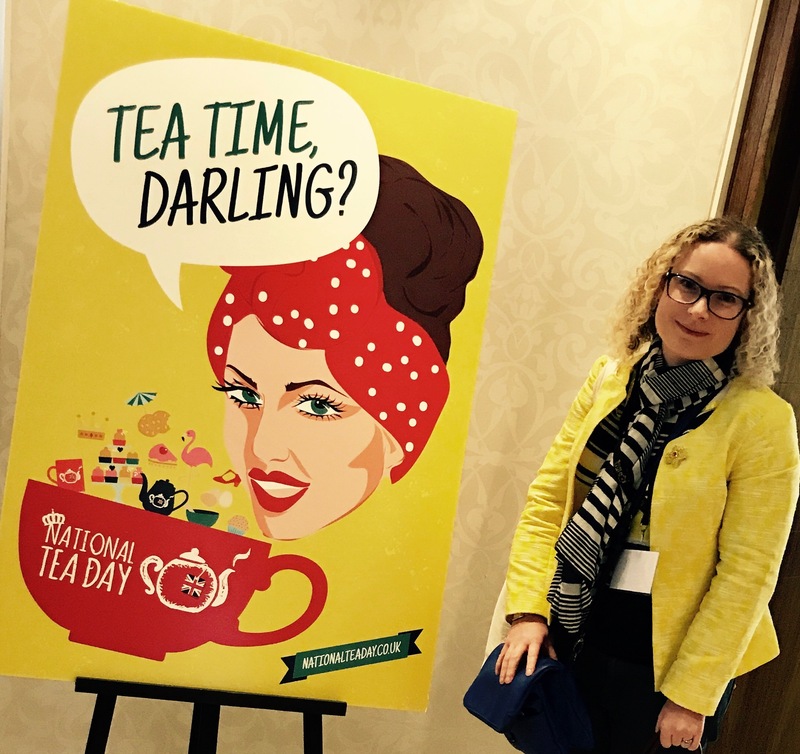 I think I will wear my bright yellow jacket that was so appropriate for National Tea Day. I even wore it with a sparkly Marie Curie daffodil brooch, which will, of course, have to make another appearance for this event in honour of such a fantastic cause. I will be posting some more in the run up to the big day, with recipe ideas, different teas to serve, and table setting inspiration. You can join in the fun, too – you can sign up at www.mariecurie.org.uk/teaparty and plan your party for 23rd-25th June. To get inspiration for your own Blooming Great Tea Party, visit the website at www.mariecurie.uk/teaparty/celebrityrecipes and decide what you would like to bake!